The Lean Six Sigma Green Belt certification program is designed to develop your expertise in the core principles of Lean Six Sigma. You will learn to apply the DMAIC (Define, Measure, Analyze, Improve, Control) methodology in quality improvement, measure performance to identify projects, identify root causes of issues and implement solutions with real life applications on various industry case studies. The course is aligned with ASQ and IASSC certifications and comes with an IASSC exam voucher. Lean Six Sigma has emerged as a popular business management strategy applied to projects globally. It helps a company achieve process excellence initiatives, accelerate product delivery, improve product quality, and drive increased profits to an organization. Lean Six Sigma emphasizes the value generated by the Lean method while maintaining the statistical rigors of the Six Sigma methodology. Simplilearn’s training in Lean Six Sigma Green Belt (LSSGB) is an ideal course package for every aspiring professional who wants to make his or her career in the quality management sector. The Lean Six Sigma Green Belt professional will be capable of developing and assisting project teams and leading Lean Six Sigma projects from start to finish. The Lean Six Sigma Green Belt Certification from the International Association for Six Sigma Certification (IASSC) will demonstrate your thorough understanding of all aspects of the DMAIC (Define, Measure, Analyze, Improve, Control) methodology and your ability to efficiently execute and interpret Six Sigma tools and Lean principles. IASSC’s Lean Six Sigma Green Belt Certification validates your quality control skills and your ability to adapt to emerging or fluctuating market conditions without compromising on quality. As organizations strive for continuous improvement, they seek professionals that can employ problem solving and business know-how to enhance internal processes, control manufacturing and process costs and increase profits. This course positions you to take the lead in quality management projects. A Certified Lean Six Sigma Green Belt professional with practical exposure to Lean Six Sigma tools can create an upwardly mobile career path. According to Indeed.com, the national average salary for a Certified Green Belt ranges from $71,000 to $85,000 in the United States. The certification enables you to perform roles such as quality manager, quality analyst, lean consultant, quality assurance manager, quality control manager and more. Top companies such as GE, AlliedSignal Corp., McKesson Corp., 3M, AXA, Cognizant Technology Solutions, Ford Motor Company, GlaxoSmithKline, Honeywell, HSBC Group, Motorola, Wipro, Xerox, and many more have invested in implementing Lean Six Sigma concepts – leading to exciting opportunities for LSSGB certification holders. How will I become Certified in Lean Six Sigma Green Belt? Complete the Simplilearn Lean Six Sigma Green Belt training course (at least 85% of the course, one project and one simulation test with a minimum score of 60%). Take the IASSC Certified Lean Six Sigma Green Belt (ICGB) exam after completing the training. It is a three hour, 100 question proctored exam, and you will need to achieve a minimum score of 385 points out of 500 total. Upon successful completion, you will receive the IASSC Certified Green Belt Certificate. You will also receive IASSC Marks that can be showcased on public profiles such as LinkedIn. There are no prerequisites for this course but an understanding of Lean and Six Sigma methodologies and tools is an added advantage. You should have knowledge of the subjects defined in the ILSSBOK (IASSC Universally Accepted Lean Six Sigma Body of Knowledge for Green Belts) to apply for the IASSC Certified Lean Six Sigma Green Belt Exam. What is the test structure and duration? 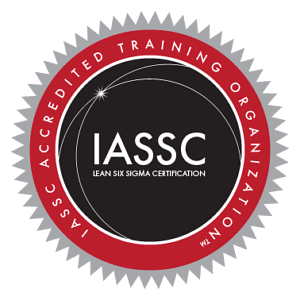 The IASSC Certified Lean Six Sigma Green Belt Exam covers 100 questions based on the IASSC Universally Accepted Lean Six Sigma Body of Knowledge for Green Belts (ILSSBOK). There will be 20 multiple-choice questions from each major section of the ILSSBOK. You are required to score a minimum of 385 points out 500 points total in the allotted time of three hours. Do I need to have project experience as part of the certification requirement? No, project experience is not a prerequisite for the IASSC Certified Lean Six Sigma Green Belt exam. However, you should have good knowledge and understanding of the subjects related to the LSSBOK in order to apply for IASSC Certified Green Belt (ICGB) credential. Where can I attend the examination? You can attend the IASSC Certified Lean Six Sigma Green Belt exam at any testing center approved by IASSC. Currently, the IASSC Certified Lean Six Sigma Green Belt exam is conducted in more than 8,000 testing centers in 165 countries. For more information, please contact our Support Desk. The exam cost is included in the course cost for standalone online classrooms in all countries except India and the Indian Subcontinent. The Exam Fee is not included in the self-paced course.